For the most convenient and reliable topsoil delivery in the Minneapolis, MN area, you can count on the Dale Green Company. Whether the quantity is small or large, we’ll deliver right to your yard, driveway or street. 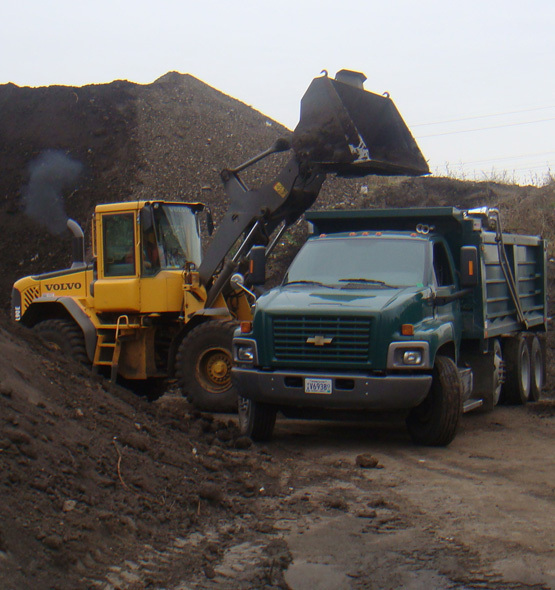 To schedule your topsoil delivery to your home or business, please call us at: 952-894-5812. We deliver as little as 1 cubic yard of topsoil to enough for a large development. We can offer quick service, even on large loads, because we stockpile vast quantities of each type of soil. Whatever your project, give us a call and we’ll be happy to give you a free estimate. Some homeowners think they can save money by driving to their local home store to buy multiple bags of soil. Many times it requires multiple trips which wastes time, gas and money. Compare the costs for yourself. Call us for a free estimate and consultation on the right composition of topsoil for your project.